Abstract: Although werewolf story in Konungs skuggsjá is claimed by the author to have been included til gamannsamligrar rœdu or as entertaining digression, is it really meant to be treated so? After all, a text such as Konungs skuggsjá cannot be produced without a great amount of knowledge and the ingenuity to organize it to serve the book’s purpose; and all the marvelous stories included are carefully selected and guaranteed to be true. Then, why has the werewolf story been selected? How should it be read and understood? It is the goal of this thesis to answer these questions. To this end, two preeminent themes of Konungs skuggsjá are extracted based on previous as well as ongoing research: 1) the importance of the king’s ability to render justice; 2) the author’s attitude towards knowledge and knowledge acquisition. The two themes are closely related to each other and both are reflected in the werewolf story. 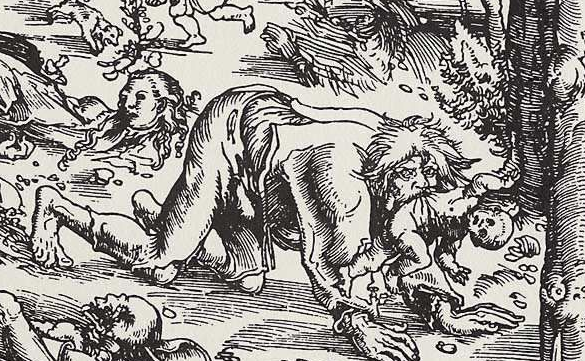 To demonstrate, the nature of the werewolves’ crime and punishment will be analyzed in detail and discussed in light of other passages in Konungs skuggsjá. In the end, a two-fold conclusion will be reached: on one hand, the werewolf story’s embodiment of the two central themes strengthens the argument for Konungs skuggsjá’s thematic and structural integrity; on the other, the themes’ relevance to the werewolf story speaks to werewolf literature as a whole, revealing possible new directions for future studies.